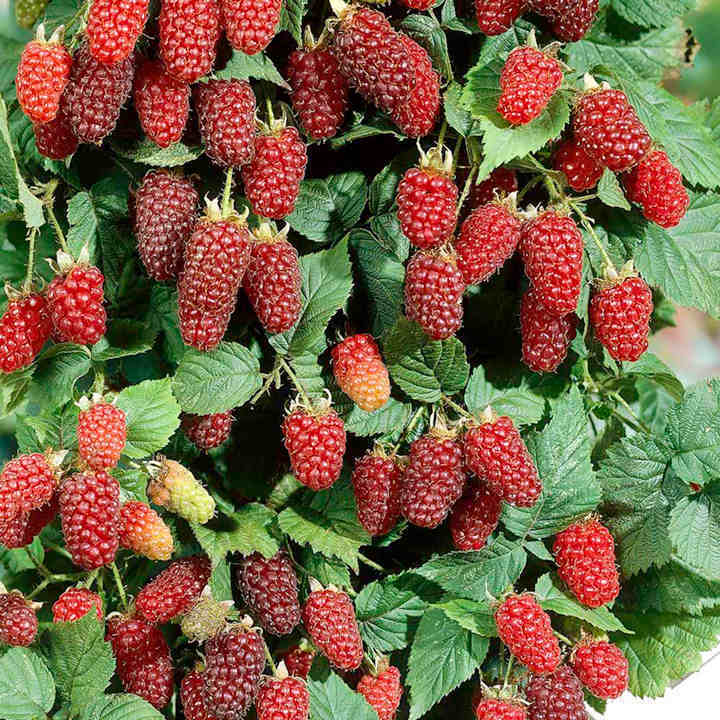 A delicious thornless hybrid between blackberry and raspberry was first introduced to the UK in 1883. Ripening during July-August, the large cone-shaped berries, up to 5cm (2") long, are full of sweet, rich, flavour. In the National Fuit Trials, the average annual yield has been 5.4kg (12 lb) from an established plant. We supply one-year-old plants from healthy, virus-free stock, which will establish quickly and fruit for many years. Excellent for a boundary fence or wall in full sun or light shade. We supply 1 year old plants from healthy, virus-free stock which will establish quickly and fruit for many years. (Part of the English Heritage fruit variety range.) Supplied in a 2 litre pot.